Earlier this month, there were rumors that early logs have indicated that Apple is already testing early builds of OS X 10.9. And amidst all the rumors, a 9to5Mac report appeared online, where Mark Gurman has disclosed that Apple is very curious to bring iOS features to OS X 10.9, that is, Apple Maps and the popular Siri feature. “Early builds in testing of the next-generation Mac operating system, OS X 10.9, point to Siri and Maps integration coming to Mac computers next year, ” said the report citing reliable sources. Apple already offers Dictation and Text-to-Speech, but Siri integration would maybe offer Mac users voice-command and search functionality. Whereas, Maps integration indicates that Apple will offer the service to developers to incorporate into their own Mac apps. Its not clear whether or not Apple would offer its own stand-alone mapping app for the Mac. 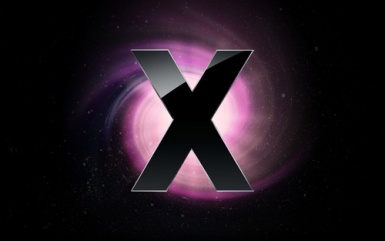 There is no firm info regarding the release date for OS X 10.9. But Apple has stated that it is moving towards a more rapid development cycle on OS X. If Apple follows their pattern for OS X 10.8's launch, we could see early OS X 10.9 developer previews in early 2013 and a final release in the middle of the year. 0 Respones to "Mac OS X 10.9 Release Update: Introduces Maps and Siri Features"